Ace Hardware & Sports in Midland has carried Craftsman Tools since 2010. We carry a wide assortment of Craftsman hand tools, power tools, and outdoor power equipment. We also support exchanges and replacements for defective tools. Since 1927, the brand’s dedication to quality and durability has inspired builders, DIYers, weekend warriors and everyone in between. With over 50 product categories and 1,4000+ products at Ace Hardware, Craftsman tools endures as America’s best-selling tool brand. NOTICE: Due to our agreement with Craftsman, not all of the products available in our store can be listed at AceHardware.com.  Please stop in or call if you cannot find a specific product listed through Ace online. Craftsman has been a leading brand in hand tools since 1927. Many hand tools come with a lifetime warranty. We can support replacements for defective tools that we carry even if they were not purchased in our store. Power tools were first introduced in 1929. Amazingly, some of these original tools can still be found in working order. It stands as a testament to a commitment to quality and durability. The first outdoor equipment was a 1934 Reel Mower. The riding mower wouldn’t be introduced until 1953, and still featured reel style blades.